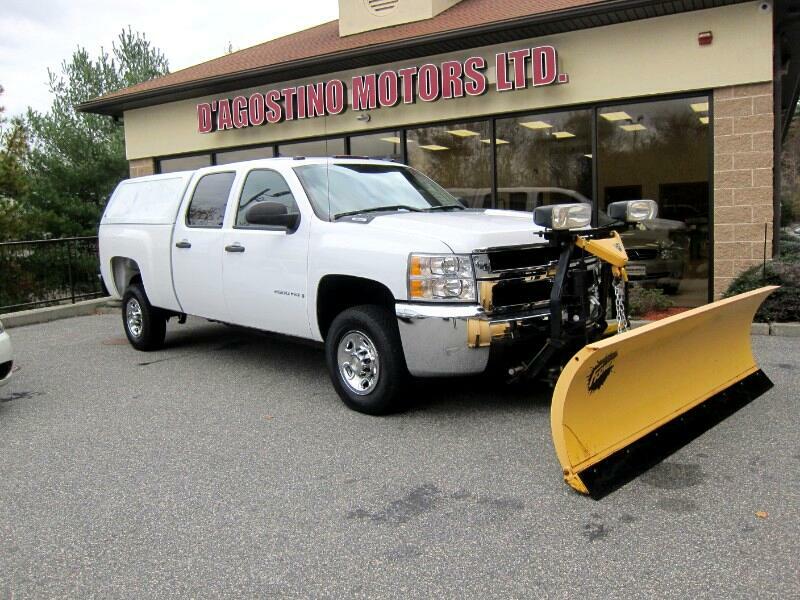 Used 2007 Chevrolet Silverado 2500HD 4WD Crew Cab 153" LT w/1LT for Sale in Smithfield RI 02917 D'Agostino Motors Ltd.
JUST IN TIME FOR THE BAD WEATHER !!! LOAD UP THE EQUIPMENT, LOAD UP THE CREW , AND GO MAKE SOME MONEY WITH THIS WORK HORSE !!! ONE OWNER !!! CLEAN CARFAX !!! ZERO RUST!!! ALWAYS MAINTAINED!!! ONLY 31,000 MILES !!! 8' FISHER MINUTE MOUNT 2 PLOW !!! 6.0 V-8 AUTOMATIC !!! LEER FIBERGLASS CAP !!! TOW PACKAGE !!! YOU WILL NOT FIND ANOTHER ONE LIKE THIS ANYWHERE!!! Come Experience the D'Agostino Difference! We Go Through our Vehicles with a Fine Tooth Comb from All Mechanical Aspects to an Extensive Reconditioning and Detailing Process, Expect to View the Cleanest Vehicles in New England Guaranteed !! !